This is the third in an occasional series celebrating the 75th anniversary of the opening of the Fairgrounds Coliseum and the dawn of the Indianapolis Capitals. Our first series will devise an all-time team for every hockey team to play in Indianapolis. Previous entries: Capitals & Chiefs. The next entry will feature the Central Hockey League version of the Checkers. Our 75 years of Indianapolis Hockey History series continues with a look at the Indianapolis Racers All-Time Team. In 1973, Indianapolis had not had any form of professional hockey in a decade, but the popularity of the ABA’s Pacers had made Indy a major-league city. The pressure of the ABA and the westward movement of the population had forced the existing leagues to expand beyond their existing corridors in the northeast and legacy cities in the Upper Midwest, and “Naptown” was a perfect fit. With the established leagues skipping over Indy in their expansions, new “rival” circuits like the ABA didn’t. When Gary Davidson and Dennis Murphy, the fathers of the ABA, began to move into hockey, Indianapolis became a perfect fit. All we needed was the ideal building for the World Hockey Association, and the soon-to-be built Market Square Arena provided it. Not only would hockey return to Indianapolis, it would do so in major-league form. There was a brief flirtation with the NHL prior to the arrival of the Racers, as Charlie Finley looked to moving his California Golden Seals several different places — to Vancouver, to Indy (they eventually settled on Cleveland, but the franchise lasted only two years there) — but any attempt at moving the fledgling team out of the Bay Area was stalled by lawsuits. Enter the World Hockey Association, which gave a franchise to Indianapolis in 1973. A year later, it took the ice and made Indy a major-league hockey town. In many ways, the coming of the Racers is the coming of the modern era of hockey in Indianapolis, just like the coming of the ABA and WHA marked a change in major-league sports (just like the AFL in the 1960s) — forcing existing leagues to break out of their old, Northeastern cores and find prosperous new markets. The Racers lasted four and a half years. They started slowly in 1974, like a typical expansion team, with a last-place squad and a revolving door of players. They ended with a cloud of anger and legal controversy, as owner Nelson Skalbania folded the team mid-season in 1978-79, claiming heavy financial losses. In-between, they gave us three Hall of Famers — Wayne Gretzky and Mark Messier at the beginning of their careers (although Messier would never actually play a home game in Indy), and Dave Keon near the end of his. They gave us the last unmasked goaltender in Andy Brown. And they ushered in a group of heroes who are still familiar to Indy hockey fans today — Whitey, Kenny, Big Mac, Reggie, Andy and, for a very brief moment, “The Great One.” The Racers’ heyday was a two-year span from 1975-77, where they won a division title in 1976, and then swept a playoff series against the hated rival Cincinnati Stingers the following year, before falling to the Quebec Nordiques in the semifinal round. In 1976-77, the Racers captivated the city and led the WHA in attendance. While the Racers didn’t make the merger, four WHA franchises still exist, with one — the Edmonton Oilers — still in their original city. Former WHA teams have won eight Stanley Cups between them since 1985. The Racers era is also considered to be the start of the modern era of hockey in Indianapolis. Since 1974, hockey has been a fixture in Indianapolis — the city has had either a professional or Junior A team represent the city every season but one. Let’s look back at a Racers All-Time Team. Note, this only includes play while wearing a Racers uniform, so it will not include players like Gretzky or Messier, who played a combined 13 games as members of the Racers and went on to fame elsewhere. Rene LeClerc: The midseason acquisition of LeClerc in 1975-76 was a big push to putting the Racers over the top in both the playoff and WHA East Division title races. LeClerc had 18 goals and 21 assists that season as the Racers transformed themselves from a last-place team to a division champion. He remained in Indianapolis for the remainder of the Racers’ days, following with a 25-goal season in 1976-77. In all, his 60 goals and 133 points are the second-most in Racers franchise history. Rene was a skilled offensive scorer. Hugh Harris: Another midseason acquisition in 1975-76, Harris was a solid two-way player who scored at a point-a-game clip after joining the Racers, with 40 points in 41 games. Harris also had seven points in the epic seven-game series against the New England Whalers in the 1976 playoffs. The following year, “Hughie” had 21 goals and 56 points in just 46 games. When he left the Racers partway through the 1977-78 season, he had 104 points in 106 games. He was a major playmaker and a big reason for the Racers’ success in their two playoff years. Reg Thomas: His 208 games as a Racers were the second-most in team history, but Reggie was a popular scorer who played for the Racers from 1975 through the midpoint of the 1977-78 season. In 1975-76, his 23 goals led the team. He had an incredible playoff in 1977, with 16 points in the nine games, following a 25-goal season in 1976-77. As a Racer, he had 63 goals (most in franchise history), 63 assists (eighth-most) and 126 points (fourth-most). Thomas later returned to Indy as the head coach of the Indianapolis Ice at the end of the 1988-89 season. He had 130 goals in 467 major pro games in the WHA and NHL from 1973-80. Darryl Maggs: Maggs gave the Racers an offensive dimension from the blueline, while also giving them some toughness. In 1976-77, he led the playoff-bound Racers in scoring, with 71 points in 81 games. A big reason why was his passing from the blueline, as he had 55 assists. The right-shot defenseman joined the team in the 1976 playoff push after a trade from the Denver Spurs. He contributed 21 points in that season, and also played for the Racers in 1977-78. Maggs’ 86 assists were third-most among Racers players, and his 113 points were eighth-most. In 1977, Maggs became the only Racer to be named a WHA First Team All-Star. Pat Stapleton: Arguably the most popular and recognizable Racer, “Whitey” was the consummate leader of the team. He was a WHA Second Team All-Star in 1976 — and was the team’s leading scorer with 45 points that season — and was a steady defenseman and a rock on the Racers’ blueline from 1975-77. He returned in 1978 to coach the team, and therefore became Wayne Gretzky’s first professional coach. Stapleton’s two years of playing for the Racers were the team’s two playoff years — in 161 games, he had 13 goals and 85 assists. He also had a big playoff in 1977, with nine points in nine games. Michel Dion: Goaltenders came and went in the red, white and blue — with 74 games, Dion played the second-most (to Andy Brown) among Racers goaltenders. His best year came in 1975-76, when he went 14-15-1 with a 2.74 GAA and a .910 save percentage — very solid numbers in the offense-heavy WHA. His overall Racers record was 31-35-4 with a 3.09 GAA from the 1974-75 season (when he played one game) through 1977. He also started seven playoff games for the Racers. Dion continued to have a productive WHA and NHL career through 1985. 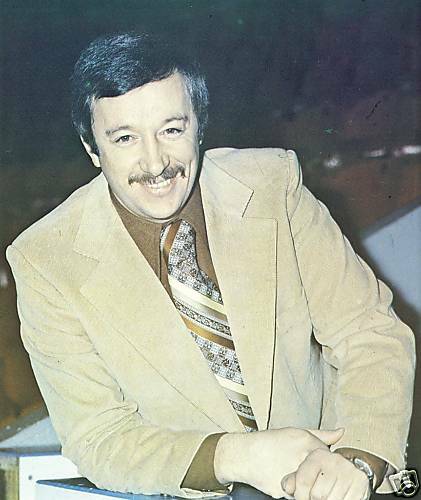 Jacques Demers: Demers became coach early in the 1975-76 season, when the first coach in Racers history — Gerry Moore — was fired after a loss. He led the Racers to the franchise’s two best seasons, winning a division title in 1975-76 and a playoff series the following year. He followed much of the team in jumping to the Cincinnati Stingers in 1977, and would continue to have success — winning the NHL’s Jack Adams Award as top coach twice, and later, winning the Stanley Cup in 1993. He later became a member of the Canadian Parliament. Blair McDonald: Blair found his stride in 1976-77. He had 34 goals to lead the team that season, and also had a phenomenal playoff with 15 points in nine postsesaon games. The winger had two very strong seasons with the team, and was a key part of both playoff runs. He had 53 goals and 41 assists in 137 games. He went from the Racers to Edmonton, and continued to put up big years, including a 94-point season as Wayne Gretzky’s right wing in 1979-80, the year after the NHL/WHA merger. He was a veteran of 695 NHL/WHA games, with 262 goals and 265 assists. After leaving the Racers, he was a WHA Second Team All-Star in 1979 playing alongside Gretzky in Edmonton. Claude St. Sauveur: St. Sauveur only played one full season as a Racer, in 1977-78, but had the best offensive season in franchise history. He tallied 36 goals and 42 assists, leading the team in all three scoring categories and setting the franchise record for goals and points in a season. He played 17 games the following year, and had four goals and two assists, giving him 40 goals, 44 assists and 84 points in 89 games as a Racer. He joined the Cincinnati Stingers after the Racers folded, but did not stick in the NHL after the 1979 merger. Bob Sicinski: “Sinker” was an original Racer who joined the team in 1974, and played through the two playoff years. He was a strong playmaker and setup man who didn’t put up huge goal totals, but was among the team leader in assists all three years. In 1974-75, he had 19 goals and 53 points. He led the team in assists and was second to Bob Whitlock in points that season. His 43 points were third-most on the 1975-76 team — bolstered by 34 assists. He also played through 1977. He had 40 goals and 92 assists in 207 games as a Racer. He is the team’s all-time leader in assists, and is third in games and points. Ken Block: Described as a consummate professional, Block was the ultimate defensive defenseman. He joined the Racers midway through the 1974-75 season in a trade with the San Diego Mariners and never left, playing all the way through the end of the team in December 1978. Block played a franchise-record 267 games. He scored seven goals and had 80 assists in those games, and was a constant presence in the back end for the Racers. Bryon Baltimore: Another longtime Racer, Baltimore suited up in the red, white and blue 116 times. He had three goals and 33 assists, but was a key in the 1976 playoff push, when he was a plus-8 and had 11 points in 37 games. He had 15 assists the following year, and played briefly in the 1977-78 and 1978-79 seasons for the Racers. He joined the team in the same trade that brought Darryl Maggs to the team in 1975-76. Jim Park: There are a lot of players who could be here – Ed Mio, Leif Holmquist, Paul Hoganson and Andy Brown all had solid runs with the Racers, but Park was solid in his time with the team. He joined it late in the 1975-76 season and was 6-4-0 as the Racers made a push for the playoffs. He was 14-12-4 in the following year, making 31 starts. His 23-23-4 regular-season record is the best winning percentage for Racers goaltenders. He had a 3.70 career GAA, but was stellar in 1976 (6-4-0, 2.41 GAA, .923 save percentage). He also had a playoff shutout for the Racers. Mark Messier: Played five games for the team on an amateur tryout after the Gretzky deal, becoming the second Hall of Famer to make his debut with the short-lived 1978 Racers. Messier won six Stanley Cups with the Oilers and Rangers during his 26-year professional career. He was the last active Racer, and last active WHA player. He played 1,808 professional games, with 695 goals and 1,203 assists over a career that took him to the Cincinnati Stingers, Edmonton Oilers, New York Rangers and Vancouver Canucks through 2004. Dave Keon: Keon came to the Racers in the latter stages of his 22-year NHL/WHA career. He was a stalwart on the Maple Leafs’ 1960 dynasty, and came to the Racers when the Minnesota Fighting Saints folded late in the 1975-76 season. He had 10 points in 12 games as the Racers made a playoff push, and also had four points in seven postseason contests. Keon went back to Minnesota to play for a new Fighting Saints franchise the following year, and closed out his career playing six seasons for the Whalers before retiring in 1982. He had 498 goals and 779 assists in 1,597 NHL/WHA games. Gilles Marotte: Played for the Racers at the end of his 13-year NHL/WHA career, coming from Cincinnati and playing 44 games in 1977-78. Marotte had 15 points in 44 games for the Racers. He played 881 games for the Bruins, Blackhawks, Kings, Rangers, Blues, Stingers and Racers and was a solid defenseman in the 1960s and 1970s. Ed Mio: Another player who began his career with the Racers, he played 22 games for the team in its final two seasons. He had a 4.04 GAA and went on to be a solid goaltender for the Oilers, Rangers and Red Wings through 1986. I simply wanted to send a quick message to be able to express gratitude to you for these remarkable ways you are giving out at this site. My considerable internet look up has at the end of the day been compensated with reasonable information to talk about with my close friends. I ‘d assume that many of us site visitors actually are truly blessed to exist in a really good site with many lovely people with good plans. I feel pretty privileged to have discovered your entire weblog and look forward to tons of more excellent times reading here. Thanks a lot again for all the details. Can I just say what a relief to search out someone who really is aware of what theyre speaking about on the internet. You positively know how you can convey a problem to gentle and make it important. Extra people must learn this and perceive this aspect of the story. I cant believe youre not more fashionable because you undoubtedly have the gift. Can I simply say what a reduction to seek out someone who actually knows what theyre talking about on the internet. You definitely know how you can deliver a difficulty to light and make it important. Extra individuals need to learn this and perceive this side of the story. I cant believe youre no more widespread because you undoubtedly have the gift. There are actually a lot of particulars like that to take into consideration. That is a great level to bring up. I supply the ideas above as general inspiration however clearly there are questions just like the one you carry up where an important factor shall be working in trustworthy good faith. I don?t know if best practices have emerged round things like that, but I am certain that your job is clearly identified as a fair game. Both girls and boys really feel the impression of only a moment抯 pleasure, for the remainder of their lives. Howdy! I just want to give an enormous thumbs up for the great info you’ve gotten right here on this post. I can be coming again to your blog for extra soon. Klo1Oz Wow, awesome blog layout! How long have you been blogging for? you make blogging look easy. The overall look of your website is wonderful, let alone the content! Spot on with this write-up, I really suppose this web site needs rather more consideration. I抣l most likely be once more to read far more, thanks for that info. I must show some appreciation to this writer just for bailing me out of this trouble. After looking through the world wide web and meeting thoughts that were not pleasant, I was thinking my entire life was over. Being alive without the solutions to the issues you have solved through your posting is a critical case, and ones which may have negatively damaged my career if I hadn’t discovered your blog post. Your own personal know-how and kindness in maneuvering every item was important. I am not sure what I would’ve done if I hadn’t come upon such a point like this. I can at this point look ahead to my future. Thanks a lot very much for this reliable and effective guide. I will not think twice to refer the website to any person who needs guide on this situation. I抦 impressed, I have to say. Actually rarely do I encounter a weblog that抯 each educative and entertaining, and let me let you know, you could have hit the nail on the head. Your idea is outstanding; the issue is one thing that not enough persons are speaking intelligently about. I’m very glad that I stumbled throughout this in my seek for something regarding this. Can I simply say what a aid to seek out someone who actually is aware of what theyre speaking about on the internet. You undoubtedly know the way to convey an issue to light and make it important. Extra people have to learn this and understand this side of the story. I cant believe youre not more standard because you undoubtedly have the gift. This is the best weblog for anyone who desires to find out about this topic. You notice a lot its almost onerous to argue with you (not that I truly would want匟aHa). You undoubtedly put a brand new spin on a topic thats been written about for years. Great stuff, simply nice! I抦 impressed, I must say. Actually not often do I encounter a blog that抯 each educative and entertaining, and let me let you know, you’ve got hit the nail on the head. Your thought is outstanding; the problem is something that not enough individuals are speaking intelligently about. I’m very completely happy that I stumbled throughout this in my seek for something relating to this. I was more than happy to seek out this web-site.I wanted to thanks on your time for this wonderful read!! I definitely enjoying every little little bit of it and I have you bookmarked to take a look at new stuff you weblog post. I appreciate you sharing this blog. Great. I抎 must test with you here. Which isn’t one thing I often do! I take pleasure in studying a publish that can make people think. Additionally, thanks for allowing me to remark! Youre so cool! I dont suppose Ive read anything like this before. So nice to find anyone with some unique ideas on this subject. realy thank you for beginning this up. this web site is something that’s needed on the internet, someone with a little originality. useful job for bringing one thing new to the internet! I not to mention my buddies were analyzing the excellent helpful tips found on your web page and then the sudden developed an awful feeling I never expressed respect to the web blog owner for them. These people ended up consequently passionate to learn them and already have unquestionably been tapping into those things. We appreciate you truly being well thoughtful and for considering this kind of fantastic resources millions of individuals are really wanting to understand about. My very own sincere apologies for not expressing gratitude to you earlier. Muchos Gracias for your blog post.Really looking forward to read more. Keep writing. Aw, this was a really nice post. In thought I would like to put in writing like this moreover ?taking time and actual effort to make an excellent article?but what can I say?I procrastinate alot and under no circumstances seem to get one thing done. I used to be very pleased to search out this net-site.I wished to thanks in your time for this wonderful learn!! I undoubtedly enjoying each little little bit of it and I have you bookmarked to check out new stuff you weblog post. I am typically to running a blog and i really admire your content. The article has actually peaks my interest. I’m going to bookmark your website and maintain checking for new information. I and my friends appeared to be examining the excellent ideas from the website then quickly I got an awful feeling I never expressed respect to you for those strategies. The men are already as a consequence joyful to study them and have now surely been having fun with them. Many thanks for actually being simply thoughtful and also for making a decision on some tremendous subject matter most people are really needing to learn about. Our own honest regret for not expressing appreciation to earlier. Im grateful for the article post. Really Great. You’ve probably the greatest online websites. You’re a very helpful website; could not make it without ya! I love browsing your website. Regards! of writing? I have a presentation next week, and I am on the look for such info. Appreciate it for sharing this amazing web-site. You’ve one of the greatest web-sites. Appreciate you sharing, great post.Thanks Again. Great. Enjoyed every bit of your article.Really thank you! Really Cool. performed a formidable job and our entire community will be grateful to you. remarkable and actually good material in favor of readers. I am reasonably sure I will be informed plenty of new stuff proper here! more attention. I’ll probably be returning to read through more, thanks for the info! Hi, I think your website might be having browser compatibility issues. When I look at your website in Ie, it looks fine but when opening in Internet Explorer, it has some overlapping. I just wanted to give you a quick heads up! Other then that, awesome blog! certainly like your website however you have to test the spelling on quite a few of your posts. Many of them are rife with spelling issues and I to find it very troublesome to tell the reality then again I’ll definitely come back again. It’s actually a cool and useful piece of information. I am satisfied that you simply shared this helpful info with us. Please stay us informed like this. Thanks for sharing. Hello, i think that i noticed you visited my website so i got here to “go back the favor”.I’m attempting to to find issues to improve my website!I suppose its ok to use some of your concepts!! analyzing such things, thus I am going to tell her. on. You’ve done a formidable job and our whole community will be grateful to you. Very useful info specifically the final section 🙂 I care for such info a lot. care of such info much. I was seeking this certain info for a long time. got to say. In my opinion, it might make your blog a little livelier. Howdy! Someone in my Myspace group shared this website with us so I came to look it over. I’m definitely loving the information. I’m bookmarking and will be tweeting this to my followers! Fantastic blog and great style and design. Enjoyed every bit of your article post. Really Cool. These days there are a lot of independent escorts who work for themselves and advertize on the web. Some of them have there own web sites. I keep a list of some here on my site and there are plenty of others if you search google. I really liked your blog post.Really thank you! Really Cool. UpI85x presses the possibility key for you LOL! EtcAUg Pretty! This has been an incredibly wonderful post. Many thanks for providing these details. I really want to thank you for yet another great informative post, I’m a loyal reader to this blog and I can’t tell you how much valuable tips I’ve learned from reading your content. I really appreciate all the effort you put into this great blog. Very efficiently written article. It will be useful to anyone who employess it, as well as me. Keep up the good work â€“ canâ€™r wait to read more posts. your presentation however I to find this matter to be actually one thing that I feel I might never understand. It seems too complex and very extensive for me. I am taking a look ahead on your subsequent put up, I’ll try to get the dangle of it! No por mucho madrugar, amanece más temprano. Sin embargo, la compañia esta cargado, entre otras cosas, en ultima instancia, los proyectos de exito, tales como la construccion de de energia nuclear de desarrollo de negocios. Terrific post however , I was wanting to know if you could write a litte more on this topic?I’d be very thankful if you could elaborate a little bit more.Thanks! I¡¦ll immediately clutch your rss feed as I can not find your email subscription link or e-newsletter service. Do you have any? Kindly permit me realize in order that I could subscribe. Thanks. I don’t normally comment but I gotta tell regards for the post on this amazing one : D.
Deference to author , some superb entropy. tadalafil działanie forum [url=https://www.cialislet.com/]www.cialislet.com[/url] cialis water. Hi my friend! I want to say that this article is awesome, nice written and include approximately all vital infos. I would like to see more posts like this. After research a number of of the weblog posts on your web site now, and I really like your means of blogging. I bookmarked it to my bookmark website listing and will probably be checking back soon. Pls try my web page as well and let me know what you think. Hi! Someone in my Myspace group shared this site with us so I came to check it out. I’m definitely enjoying the information. I’m book-marking and will be tweeting this to my followers! Wonderful blog and wonderful style and design. Great blog post. Things i would like to contribute is that laptop memory needs to be purchased when your computer is unable to cope with that which you do by using it. One can install two RAM memory boards having 1GB each, as an example, but not certainly one of 1GB and one having 2GB. One should make sure the manufacturer’s documentation for the PC to be sure what type of ram it can take. I am not positive where you are getting your information, however good topic. I must spend some time studying more or figuring out more. Thanks for excellent info I was on the lookout for this info for my mission.